Remember the Segway? Chances are you're reading this page because you remember them all too well. Unfortunately, Segway crashes are about as common as, well, Segways—and many of these Segway mishaps are quite famous. In 2003, George W. Bush famously fell off his Segway. He was relentlessly mocked by British television personality Piers Morgan. In 2007, that same Piers Morgan fell off his Segway suffering Segway injuries that included three broken ribs. In 2010, Ellen DeGeneres fell off her Segway while rehearsing for her show. Also in 2010, with tragic irony, Jimi Heselden, who had just purchased the Segway corporation, was killed after he rode his Segway off a cliff at home. In 2015, a camera operator riding a Segway toppled a 17-time gold medalist runner Usain Bolt. Because of the gyroscopic forces and somewhat unnatural maneuvering inherent in Segway operation, Segway crashes are all too common. But not all Segway accidents are a result of user error. Sometimes Segways reach their maximum speed and turn off suddenly, catapulting the rider and causing Segway injuries. Other times, the battery expires, and the Segway stops suddenly, again, causing Segway injuries. Or in some cases, a Segway malfunctions and quickly reverses direction. 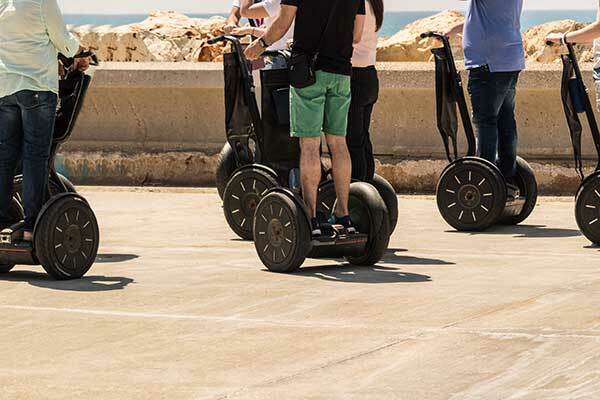 Each of these Segway accidents can be potentially traced back to a defective product. Where the designer or manufacturer of a product has created a product that malfunctions and causes injury, they, along with others in the chain of distribution—distributors, wholesalers, and retailers—can be held accountable. That's without having to prove any negligence on the part of the designer or manufacturer because product defect cases are strict liability—fault is irrelevant. 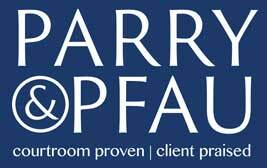 With the aid of design and safety experts, the Segway accident attorneys at Parry & Pfau can help identify the defects in a Segway that caused your injuries. The same is true of injuries caused by a Hoverboard accident (Segway's armless little brother). If you have been injured by a Segway and think you might have a Segway case, consult with a Segway accident attorney, and we can help you determine what caused your injuries and whether you qualify for a Segway lawsuit. All at no cost to you.